A major shake-up of newsrooms across three publishing regions has been outlined by regional publisher Johnston Press. The company originally unveiled its “newsroom of the future” initiative last September, with newspapers in its North Midlands and South Yorkshire division taking part in a pilot project. The trial has seen journalists across multiple titles grouped into two teams covering Derbyshire and Nottinghamshire respectively, while a central unit works on entertainments, community news, features and sport for all JP’s newspapers in the region. Now Yorkshire Post editor and JP editorial board chairman Jeremy Clifford has revealed the project is to be rolled out to two further regions, expanding to cover its weekly titles in Scotland and the South Midlands, which includes Leicestershire and Northamptionshire. The announcement came in an article in JP’s internal staff newsletter, The Word, which went out yesterday lunchtime. 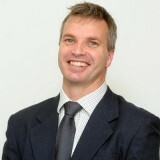 Jeremy, pictured, confirmed that one daily newspaper – believed to be Sheffield daily The Star – would be included in the rollout, which is due to take place in April. As well as new newsroom structures, Jeremy said the changes would mean new websites, fresh investment in digital, better working conditions for journalists and further brand relaunches. Although Jeremy made reference to having to deliver content with fewer journalists in the piece, there was no specific mention of whether the new structure would entail further job losses. Said Jeremy: “We’ve had to face up to delivering quality content with fewer journalists – it’s a harsh reality that we must cut our cloth according to our means, and we have challenges ahead. “So we will respond by working in new ways, building on our expertise and the commitment to our local communities that sets us apart from the rest. “The newsroom of the future pilot, while not without its challenges, has been a success and is informing what the roll out of the programme will look like. He added: “Journalists, equipped with the latest technology and tools, will be out in their communities, reporting back to news and sports content hubs, who decide where to publish content for maximum reach. One Johnston Press employee, who did not want to be named, told HTFP: “This is the same old stuff where its a lot of buzz words saying how great it is, but we’re still none the wiser as to where we’re going to be working from and what’s happened. “If a local authority sent something through like this we’d be absolutely panning them because it’s all buzz words. “The overriding opinion of most people that we’ve heard from is it all sounds OK and good, but where’s the detail about where people are going to be based and things like that? Life is local…but your newspaper isn’t. Said Jeremy: “We’ve had to face up to delivering quality content with fewer journalists – it’s a harsh reality that we must cut our cloth according to our means …” Why throw money at brand relaunches then? In advertising, we know that NEW sells, but that is only until you’ve tried the product and find it improved. If JP is investing it indicates further cuts: it’s bad news when it’s not “exciting”. “There was no specific mention of whether the new structure would entail further job losses.” Well, there doesn’t have to be, does there? Pretty damned obvious, I’d say. And I wonder what the “better working conditions for journalists” actually are. Perhaps someone affected could enlighten us. Why on earth would they want to do that? It won’t be money. It won’t be because they want to involve a third party, i.e. a newspaper. The ‘future’ referred to in the well-worn phrase: “the newsroom of the future”, is actually somewhere around 2001. It didn’t work then, either. Yes, modernise, but please don’t expect people to be wowed by managementspeak like ‘roll-outs’ and tired old visions like this. People are their own publishers now, and have been for a while. When will newspapers catch up? Does “specialist teams re-purposing content” really mean subs ? JP seems intent on destroying local newspapers nationwide. I have seen butchery at their papers in Yorkshire, where large towns no longer have their own newspaper office. Thus, local content suffers and sales drop a third in three years. At present, they have a very decent cluster of papers in certain parts of the East Midlands. They are very local, decent reads and sales are holding up well. I can only hope similar regionalisation is not planned there. JP needs to realise that in an age of multi-channel media, it needs to focus on local, local, local, as here there is typically no effective competition. Your local weekly usually has a monopoly, so to preserve its business, it needs to keep standards high to keep the prospect of any competition at bay. If its drops its local coverage, what is their to stop redundant journalists stepping in with their own community websites? Fewer hacks, but any sign of of hacking back top level/mid tier managers/exes? Or possibly pay cuts for the overpaid top bods? Nay, that would be too sensible…. No mention of Sunderland echo. Echo now a morning paper. By the time it prints a story everyone else has done it first. Only good for camping. Does good job at doing that. Apart from news from the bridge not worth buying. I now only buy on a Wednesday. A great newspaper being strangled to death. I feel so sorry for the journalists. Yet another dangerous disconnect between a Walter Mitty management and reality. Can anybody who has been involved in the experiment up north let us in the E Mids know exactly what this means? Because JP sure as hell haven’t told us. “newsroom of the future” Is that JP speak for sack all staff and bring in the robots….. as I’m pretty sure they would finally be happy with that…. Said Jeremy: “quality content with fewer journalists”. Quality is a misused noun that means nothing unless it is qualified by an adjective. So let me help. Poorer quality, crap quality, lower quality. How does : “Delivering poorer quality with fewer journalists” sound? I nominate this article for the Bull—- of the Decade Award. No one in the newspaper industry at this time, especially at JP, should have a grin that big. Methinks Jeremy’s piece of the cloth isn’t subject to means-tested cutting. Question: What will the “Newsroom of the Future” look like? Bla, bla, bla, JP. What a sad trade we work in. Yes, poorer quality content with fewer journalists. Been 40 years in the business and under JP have seen my old-established and beloved daily (once an evening, now a morning) driven into the ground and haemorrhaging readers because of erosion of content and excessive price rises. From being a once-respected title, its name and circulation is now in the gutter, for which I will never forgive them. And while we’re at it, they should rollout “the boardroom of the future” – a modestly-furnished room entirely devoid of overpaid, clueless executives whose chairs have been filled by a “community of directors” all generously donating their time for free. I am 56 years old, still editorially active, still worthy despite what some editors think. Do you think there is a place for me in the “newsroom of the future”? Maybe I could be stuffed and mounted in the corner. Having seen the pathetic YEP redesign, I can’t take anything Jeremy Clifford does seriously. The YEP sales will disintegrate quicker now. These are the dying days now. So sad to see. Yet more daft ideas from an incompetent management with little real newspaper experience and absolutely no bloody idea of just how useless most ‘user generated crap’ is. They keep coming up with waffle they think is a plan but seem to be totally unable to tell staff how its going to work, where it will work from or even who is going to do it. They are even still unable tell group editors first threatened with redundancy back in November whether they have a part to play in Ashley’s Brave New World. They’re killing their print newspapers with staff cuts and procrastination and don’t seem to realise their plans to let any idiot put rubbish on their websites is turning respected the newspaper sites they say are the future into something no more reliable than Facebook. Terry, please elaborate on why you think the hard work of many, in redesigning the YEP, can be described as pathetic. Didn’t they launch Newsroom of the Future at the LEP about 12 years ago? Local news is our only USP, the only thing we have left to compete with. If anything we should be going hyper local, not regional. The total lack of consultation with soon-to-be affected staff is yet another kick in the teeth and shows their utter contempt for journalists. I couldn’t feel less respected if they plastered my desk with dog muck.